John grew up in Christchurch and remembers spending university holidays working for the Forestry department in Waipara planting hundreds of pine trees. His horticultural skills have come in handy now that the vineyards are over 35,000 vines strong! Following a 30-year career working around the globe in apparel and sports marketing, John is looking forward to spending a lot more time in the vineyards on his new tractor, and flying over the vineyards in his helicopter. John's favorite moment arrives after a long day when he can finally relax on the patio with a glass of chilled Chardonnay and enjoy the amazing Waipara and Napa sunsets--Fantastic! 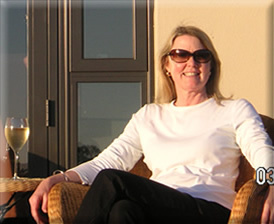 Sharon had no idea when she graduated from UC Davis many years ago that she'd be back again to study everything she'd need to know about establishing a vineyard and learning the wine business! 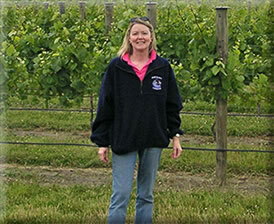 Since planting the vineyards in New Zealand, Sharon has learned a lot about growing grapes, making and tasting wine, and holds an advanced certification through the Wine & Spirits Education Trust program. One of the things Sharon has enjoyed most about setting up the vineyards is experimenting with new varietals and trying to find the "next new thing" that will thrive in Waipara's unique terroir. 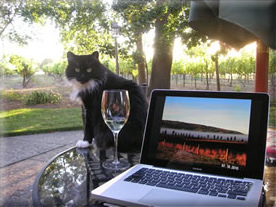 "New Zealand Albarino anyone?" 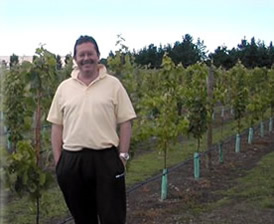 Kent grew up and studied viticulture in Canterbury and has never gotten tired of the beautiful surroundings in Waipara, especially the changing colors of the hills to the east, the mountains to the west and all of the different vineyards. Taking care of the vineyards is never dull. Every season is different and there are always new things to discover about the Frog Rock and Home Creek terroir. 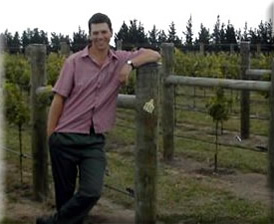 Kent particularly enjoys working with the diverse and interesting range of international and local personalities that live and work in the Waipara wine growing industry. As Kent says, "Where else could you have such a wonderful outdoor lifestyle with the end result delivering the satisfaction of a great bottle of wine." 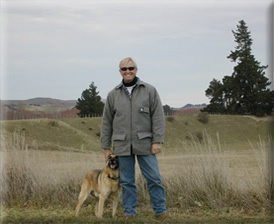 This picture was taken in the early days at Home Creek Vineyards. Fane Shearsby, our brother-in-law, looked after the vineyards for the first few years and LB was always keen to go along and chase the bunnies!